New for 2018 – Living Willow Dome & Tunnel! Using Mrs Aylett’s vision, Tim, our head gardener, has carefully planted this living structure in our Celebration Garden. 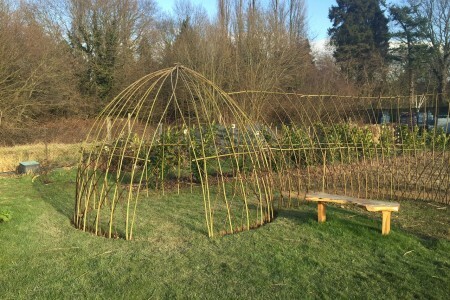 As the willow grows the structure will become enclosed and visitors to the garden can enjoy venturing through the tunnel into the adult height dome. Our new living structure is sure to enchant adults and children alike as well as providing a splendid habitat for wildlife. See our ‘Attracting Wildlife to Your Garden’ leaflet for information on how to make your garden a home for nature. Next Post: Half Term ‘Finger Knitting Challenge’ – How far did we go?